In 1768, 30 artists approached King George III to create a society for ‘promoting the arts of design.’ Nearly a quarter of a millennium later, the Royal Academy of Arts still consists of the UK’s first art school, one of the most popular exhibition venues, and a society of about 100 of the most prominent artists and architects – the Royal Academicians – from David Hockney to Zaha Hadid. The RA isn’t really a museum, even though it can feel like one – it’s a collection of artists, rather than a collection of objects. Being led by artists immediately gives the RA an anti-establishment edge, which might not be apparent from our grand building. But our website lagged behind – laid out around the structure of the organisation rather than the user’s needs and interests, hiding the best content away, and offering a limited picture of what the RA does. We worked with the pioneers of user-centred design, IDEO. Collaborating with the newly-established RA Digital Team, they workshopped, interviewed, prototyped and ideated an experience that would place people and storytelling at the heart of our digital presence. As befits a visual arts organisation, we placed the designer at the heart of the innovation process: considering strategy and business plans and delving into the heart of the problem at hand, rather than just making something beautiful. Often, the most significant challenge to getting a design to market is not the design, but the people and structures inside the organisation – so we involved our staff and artists alongside our external users in the design. We provided an editorial platform so people from across the organisation – artists, educators, students – can discuss and debate art. 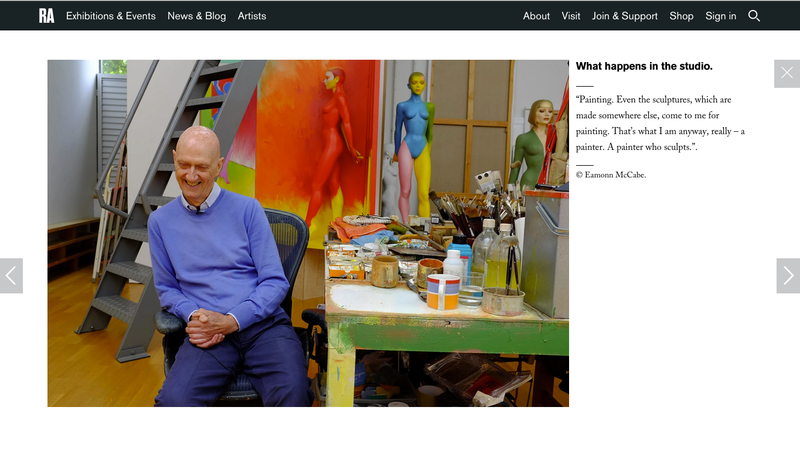 We take you behind the closed doors of the Academy, into the artists’ studios, and out, further, into the wider world of art. Whether it’s spending ‘10 minutes with’ a leading contemporary artist, giving you the non-patronising ‘beginner’s guide’ to an art historical period, or initiating a debate about positive discrimination in the art world. The RA is investing for the long term in its digital presence – running with the ‘release early, release often’, we’ve made thirty releases to update functionality, design and user experience in the first year of the site’s life. We’re remaining focused on the user, investing in better ticketing infrastructure, interesting content formats and better user experience. We take our users deep into the practices of our artists (and their cats, where possible…). Big questions about art and architecture are raised by the leading artists at the heart of the organisation – and then pulled through into social. Using our assets – living artists, rather than a collection of objects – to tell stories about the development of British art. 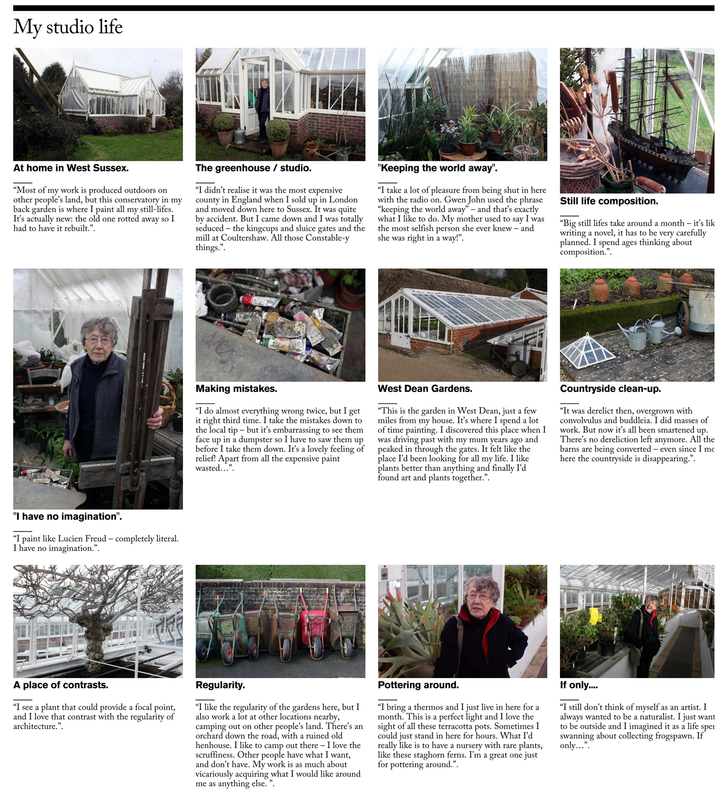 The benefit of placing living artists at the heart of our digital presence is the diversity of voices and experience it can share – here, following a painting trip around a series of English plant-houses.